Complete your child's bedroom with this compact and convenient entertainment chest. Perfect for watching TV in the comfort of your own bed, this chest provides the storage and table space you need for your child's music and move accessories. With 3 small drawers and a louvre door cabinet, this piece provides versatile storage space infused with a warm, cottage style. 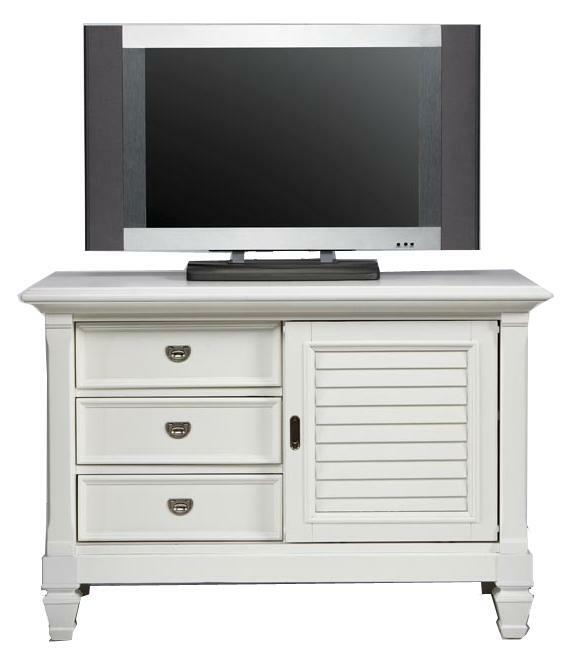 The Belmar Youth 3-Drawer Entertainment Chest with Side Cabinet by Holland House at Miskelly Furniture in the Jackson, Pearl, Madison, Ridgeland, Flowood Mississippi area. Product availability may vary. Contact us for the most current availability on this product.